Learning From and Working With Nature- Podcasts about the natural world and solutions that benefit both people and planet. 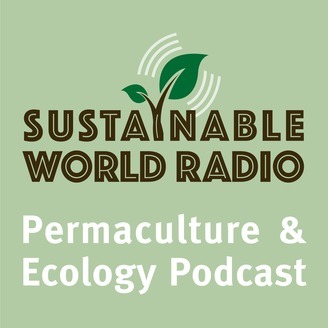 Interviews, news, and commentary about ecology, regenerative farming, permaculture, organic gardening, sustainability, green living, and ethnobotany. 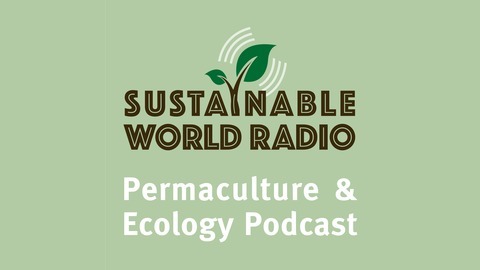 Visit us at www.sustainableworldradio.com. In this interview, Incredible Edible's co-founder Mary Clear tells the story of how she and her friends turned their worry and fear into action by planting food in public places; potatoes and kale at the Railway Station, runner beans in front of the Health Centre, and corn outside the police department. Mary tells us about the project's economic impact, vegetable tourism, and the power that comes when you have no money, no paid staff, no buildings, and no public funding. With a motto of, "If you eat, you’re in," Incredible Edible turns neglected, unloved places into beautiful food-giving gardens, complete with signs that say "Help Yourself!" Over 1,000 Incredible Edible projects have blossomed around the world. Learn how you can start your own Incredible Edibleproject in this inspiring and uplifting interview with Mary Clear. Learn more at their website: Incredible-Edible-Todmorden.co.uk/Home.